Fast shipping, item well packaged. Will shop here again! My grandson knocked out this project in about 20 minutes. The new impeller is kicking out more water than ever before!! New life for an old motor and my grandson will enjoy this motor and the jonboat it pushes for another generation !! Easy to find correct parts. Quick shipping. Problem fixed: Not pumping water at low revs. Replaced water pump. Could have been done quicker if I didn't have a mate helping & we weren't drinking beer. Pumping water like it should now. All parts were included in repair kit and installation was done without any complications. Water pump and other parts were in such bad shape one more trip fishing may have ruined my engine. 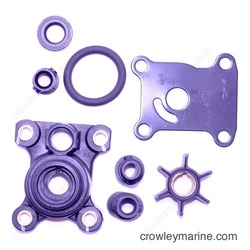 I plan to have a certified marine mechanic replace water pump kit ,I know it sounds simple ,and I've done it in the past but I'm an old fart now and not as handy with my brain and hands. Very positive experience with this company ! Knowledgeable staff. Easy ordering and fast shipping. Pull lower end of outboard and disconnect the shifter linkage . 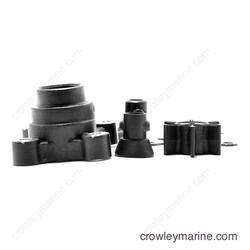 Remove impeller housing from shaft and impeller. Replace water pump lower plate. Replace impeller and housing . Replace water tube rubber grommet and top o ring . Lube sides of the top of the drive shaft . Insert shaft into upper end of the out board . Reconnect the shift linkage. Tighten lower end bolts . Correct part. Shipped within hours. Arrived timely. Good experience. Part was exactly what I ordered and shipping was prompt. 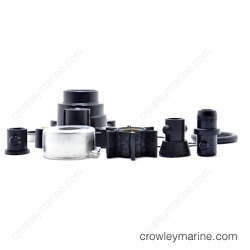 Great experience with Crowley Marine. Seamless ordering process, parts fit perfect. Highly recommend. Very good. All the parts were easy to find and linked to each other. As I found each part the website would suggest another that I happened to need also. Fast and easy transaction..... items were great . Placed order via phone. Rep was knowledgeable, part was received quickly with reasonable shipping rate, and repair went as hoped. Would definitely order from these folks again. I have ordered parts from you multiple times. Your website is friendly and easy to use. Ordering is hassle free, immediate shipping and tracking info and great prices. Keep up the excellent work! Thanks to all who make the experience great! 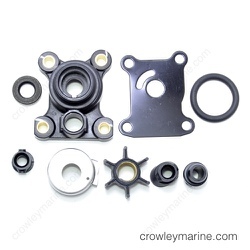 I was very impressed with my dealings with Crowley Marine. The accidentally sent the wrong part, so I sent them an E-mail notifying them of the mixup. 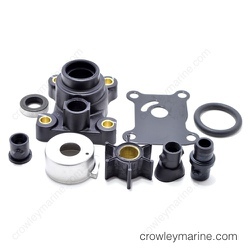 The next day I got an E-mail from Crowley Marine that the correct part had been shipped. I received it a day later. Great service and follow up. Thanks ! Replaced top of carburetor, slow speed adjustment needle and knob. Replaced water pump. Changed oil in gear box. Completely satisfied with my experience. Received what I ordered and very quickly. Parts fit as advertised. Fantastic service and genuine parts. Arrived quicker from the U.S than from within Australia. The person I talked to on the phone was very helpful, the parts were here quickly, they were the right parts and everything went together great! Parts were right, quick fix with no problems. The delivery was very fast but the shipping is too expensive to Canada as well as canadian dollars exchange. They have everything in stock! Amazing and very appreciated. I would have to write a book! They have had everything I've needed in stock, even parts for 30 year old outboards. Prices are OK and shipping is very reasonable. Always shipped quickly. Great. Fast, accurate delivery. Thanks! Great! no complaints and fast shipping. Unbelievable customer service! If they bottled or canned their customer service they would make a killing selling to companies that "just don't get it" and there are a lot of them! I had a question on which part assembly I needed and emailed my question to them. I received a response in less than an hour! I then placed my order through their website and got a "your order has shipped" email in less than an hour! Let's face it, if your buying parts for your boat you already have a problem or are trying to prevent a problem. These folks are definitely trying to help you minimize your down time and make it as painless as it possibly could be! I will but my engine repair parts from no other from now on! My 1986 Evinrude 9.9 hp needed a water pump replaced and the wife was not to thrilled with me spending more money with the Marine repair mechanic (I just dropped $800 replacing the entire electrical system one part at a time over a 7 month period). I watched a YouTube Video on how to do it and started looking for parts. I contacted 3 different online dealers and received a response from Crowley in like 30 minutes.....never even heard back from one other dealer and got a response from the third 3 weeks later. Anyway, I ordered my parts after receiving the answer to my question almost immediately, and the parts shipped in less than an hour after placing my order. The pump rebuild kit arrived in a couple days and was exactly what I needed. Customer service is almost non existent nowadays and these folks are a refreshing change from that! This is one of the best stores I have shopped at. I do 90% of my shopping here and price is very good. restored for a very good friend, has not been used since 1988. was his fathers whohad a stroke in 1988 and passed away in 1996 and been setting in a shop till a few weeks ago. Dave and his team of people do an excellent job in taking care of all of their customers. Any issues with orders, the follow up quickly. Also a great sponsor of the Wyoming Walleye Stampede!! 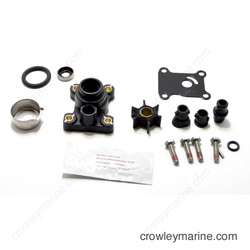 Once again Crowley Marine came through with the parts I needed for my old Johnson 9.9. I have no problem recommending Crowley to anyone. Problem fixed: Low compression on one cylinder and leaky seals in lower unit. The first plus was having the original parts and repair manuals. Slowly dismantling and tagging parts as I proceeded. I listed everything that could be replaced or refreshed and orders same. When finished I had found an weak reed valve, installed carb and water pump kits along with lower seals and numerous gaskets and gromets. Now runs like a new motor. Every thing I bought impeller kit, drive and prop seals fit perfectly. Fuel pump fit, but needed new fuel lines (should have come with new fuel pump) Good place to get replacement parts!!! 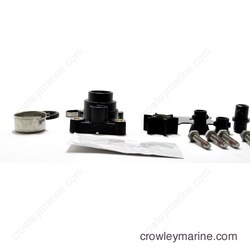 Crowley marine was great. Good prices and products arrived on time. Competitive pricing and quick shipping. Very pleased ! Excellent. I got a part that was obsolete through Crowley. Very professional and fast service. I live in Alberta, Canada and received my parts in three days. Exactly when they said I'd get them. I have ordered a number of times from Crowely and had an excellent experience every time. Excellent, second time purchasing parts. Love the diagrams and fast shipping. Quick responses to questions & fast delivery. 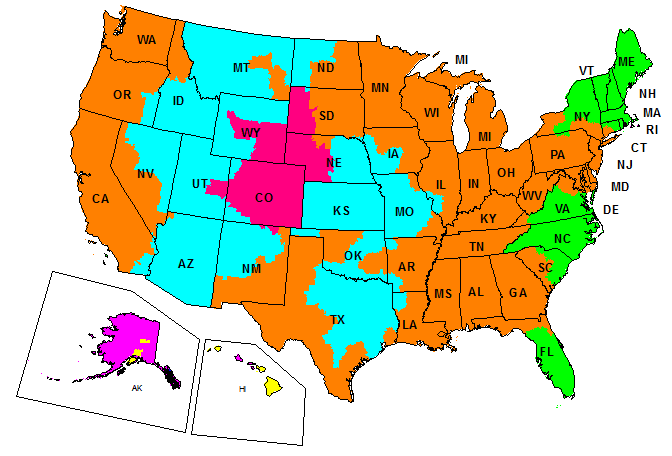 Good shipping tracking system. Problem fixed: Spitting and sputtering ,needed a Fuel Pump. Now Water from the Pump. Blowing gear grease out the exhaust. It has been a learning experience for me to work on my own motor. 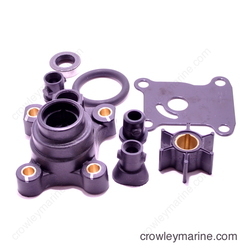 Crowley has schematics that show how to put all the parts back in the correct order. it has all or most parts you need. Removed lower unit, installed pump kit, re installed lower unit. 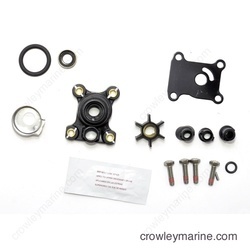 Always had excellent service from Crowley Marine ordered parts and received in the UK very fast, extremely happy with their service I don't look any where else.